PUSH+ is a partnership between partners: Imaginate, Scenekunstbruket, Krokusfestival, Aaben Dans, The Ark and Associate Partner, Bangkok International Children's Festival. PUSH+ is managed by a Steering Group of Fiona Ferguson (Imaginate), Pamela Walker (Imaginate), Gerhard Verfaillie (Krokusfestival), Aideen Howard (The Ark), Pernille Møller Taasinge & Thomas Eisenhardt (Aaben Dans) and Ådne Sekkelsten (Scenekunstbruket). 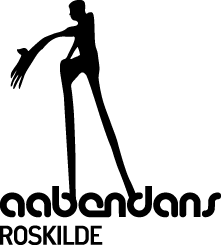 With local roots and our own venue Scenen i Laboratoriet, Aaben Dans cooperates and tours extensively both nationally and internationally. We produce at least two performances a year catering for all age groups. We challenge what dance and theatre can and should be. We create performances within traditional frameworks while exploring new formats in city and landscape involving professionals and local citizens in the creation of new productions and projects. We keep our work fresh and inspiring by inviting guest performers, often working across different art forms. We are committed to reaching new and diverse audiences through high quality work offering excellent and unusual experiences. We want to make work that is both accessible and avant-garde. In addition to our own productions we host international residencies (Aabent Laboratorium) for up-and-coming dance artists, and every second year produces and curates SWOP, an international dance festival for the young audiences. 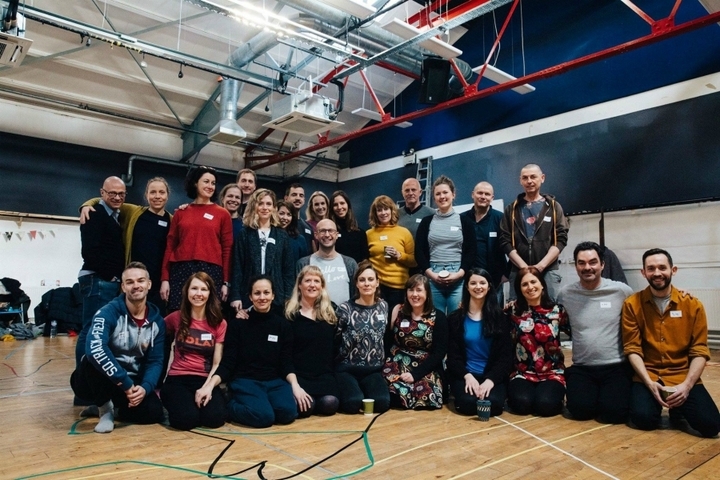 We offer a considerable expertise in communication and facilitation which builds bridges between audiences and the many functions and expressions of a theatre. We run dance projects in schools, in cross-generational settings as well as workshops for adults and business communities. Bangkok International Children’s Theatre Festival (BICT Fest) is Thailand’s first international performing arts festival for young people. Our goal is to cultivate creativity, connect cultures, and inspire children through professional theatre works from all over the world. As well as producting the bienniel BICT Fest (which has run in 2016 and 2018 so far) we also offer intercultural exchanges for artists and creative learning programs for young people and their families. We want more children in Scotland to experience work that is deeply engaging, innovative and inspiring. We believe that all children deserve the opportunity to develop their creativity, emotional intelligence and reach their true potential. We run a year round programme of projects and training for schools introducing teachers and pupils to live performance from Scotland and around the world. We want more high quality children’s work made in Scotland, so offer artists a year-round programme of creative development. This includes a mix of events, training, Go & See funding, residencies, mentoring and special projects. We produce Edinburgh International Children's Festival, now in its 30th year, which showcases performances that delight and inspire the young and young-at-heart. The festival is also one of the best places for programmers and artists from all over the world to see work of the very highest standard, to meet each other, to see and discuss work, and to take part in a curated programme of delegate events including works in progress, discussion events and networking. At Krokusfestival we present a range of new performances (including our own productions), introduce new artists and focus on artists' development. We presents a lot of dance performances for young audiences and are the international meeting place for TYA in Flanders. 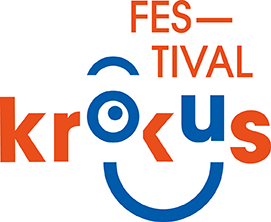 Krokusfestival is part of Assitej, collaborates with different European partners and is developing a trans-European collaboration. CCHA is one of the largest cultural centres in Belgium/Flanders with 4 venues, rehearsal space, 4 exhibition rooms, a conference hall and several meeting rooms. The centre presents a high quality program of theatre, dance, classical and contemporary music for all audiences (including schools) as well as different art exhibitions. CCH also stimulates the socio-cultural debate working intensively with different partners in the region, in Belgium and internationally. We have one permanent artist-in-residence and offer workspace to companies and individual artists. In cross-border collaboration with Maastricht, we also co-produce shows for young audiences and are working on an international project about new technologies and performing arts with European partners in Liège, Eupen, Maastricht and Aachen. Scenekunstbruket, the Norwegian Network for Performing Arts, is a competence center and the largest distributor of performing arts for a young audience in Norway. They work to make quality performing art accessible, and present a varied range of performances, both Norwegian and International. They want to contribute to the further development and strengthening of performing arts for children and young people, and create forums where artists, programmers and the art field provide common references for further experience and performing arts discussions. They place great emphasis on collaboration. Scenekunkstbruket produce the Showbox Festival (est. 2005), Norways` largest performing arts festival for a young audience which takes place every year in December at several venues across Oslo. The festival is their main forum for lectures, seminars, discussions and meeting point, in addition to being a festival to the young audience in Oslo. Established in 1995, The Ark is a dedicated cultural centre for children. We believe in a child’s right to discover and love art in a society where art and culture are valued and enrich all our lives. Specifically, we commission, produce and present work for, by and about children, from the ages of two to twelve years old. We do so in our architecturally award-winning home in the heart of Dublin’s Temple Bar as well as off-site and on tour in Ireland and abroad. We encourage and resource Ireland’s artists to make outstanding art for children through properly supported and remunerated commissions, productions and professional development. We work in partnership with others as artistic collaborators and regularly share our resources and knowledge with artists, educators and all those interested in child-centred arts practice. We also work with other like-minded organisations to advance children’s rights to art and culture as part of their learning and development. 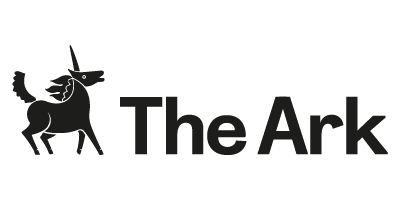 One of our longest partnerships is with Dublin Theatre Festival, where The Ark curates the Theatre for Children season that is presented by both organisations during the annual festival. This will form part of the PUSH project in 2017.